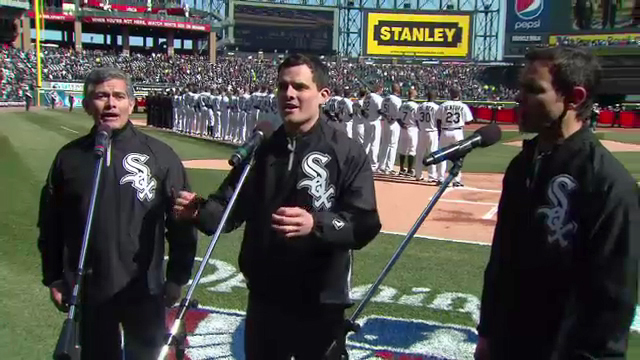 Alexandra and John Nichols Chief Correspondent and Chicago Tonight Host Phil Ponce and his two sons, Dan and Anthony, sang the national anthem on opening day for the White Sox. Read Phil's blog about how they got the gig. Watch the performance below.